The iOS 10 brought a host of improvements and new features to iPhones and iPads. At the same time, several users started to complain that the new upgrade was slowing up their devices. Mostly, owners of the older iPhone 5C, iPhone 5S and iPhone 6 seem to be affected by the issue. This is presumably because the ageing hardware of these smartphones is not being able to handle the advanced iOS 10 properly. Surprisingly, there are a few simple and easy methods to solve this problem. Read on to know the top tips and tricks to speed up your iPhone. This is the first thing you should do if you notice any lag while using your iOS 10 device. Go to the Settings of your iPhone, after that, move on to General, Accessibility and select Reduce Motion. Then tap on the toggle to turn on Reduce Motion. This will disable some of the nonessential screen transition effects and restrict additional animations of certain applications. Thus it will take a lot of load off the processor and hence speed up your iPhone. ‘Background App Refresh’ is the feature which lets some applications to keep running in the background and look for new updates. This does consume some resources and also takes a toll on the battery life. To turn off background app refresh, go to Settings > General > Background App Refresh and click on the slider. You can allow some applications to run in the background while restricting others, but we recommend you switch off this feature entirely. On the top of making your iOS 10 running device faster, this will also increase the battery endurance. Almost every Operating Systems start to function peculiarly when there is less amount of available storage. iOS 10 is not an exception. We always recommend that you should at least have 1 GB of free storage on your iPhone for optimised performance. So, clean up the storage by eliminating unnecessary stuff. You can delete old and unused applications, remove non-essential videos and music and transfer photographs onto a PC. Never fill up the entire storage of your iPhone as this substantially slows down the device. This is probably the easiest solution to many problems of the iPhone. This turns back every setting option of the smartphone into factory defaults. However, it will not affect any application data or stored contents but shall rest manually modified settings like Wi-Fi connections, Bluetooth pairings, etc. To do this, go to Settings of the iOS 10 running iPhone then, General > Reset. Now, tap on the Reset All Settings option and type in your password to confirm. After this, your iPhone will restart to complete the procedure. This is absolutely the last thing you should do in order to speed up your iPhone. 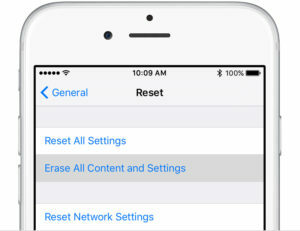 It will reset every setting and delete all data of your device. So, you must back up your applications, videos, music, pictures, etc. before performing this. 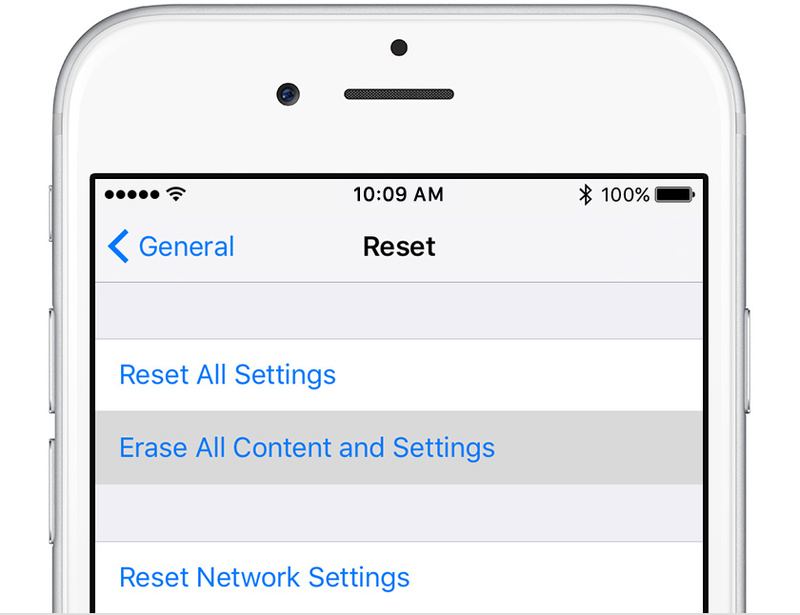 To fully reset your iPhone, go to the Settings > General > Reset and click on ‘Erase All Content and Settings’. Then enter the password and tap on ‘Erase iPhone’ to confirm. All of this should definitely speed up your iOS 10 running iPhone by a decent margin. Still, if these too prove to be futile, you can always downgrade to the good old iOS 9.